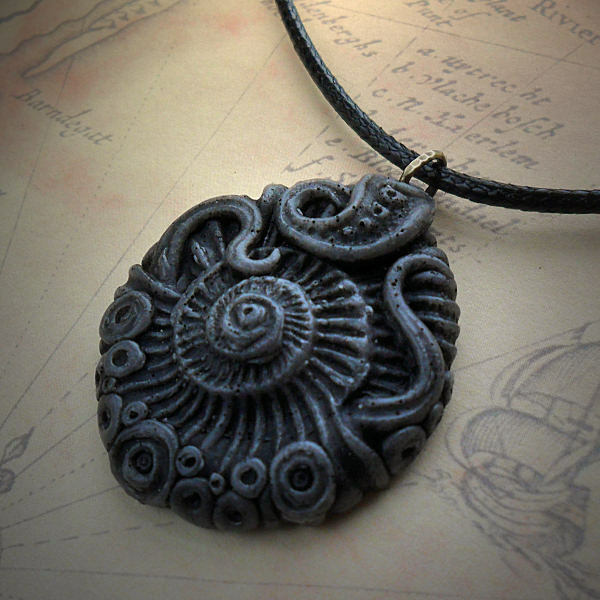 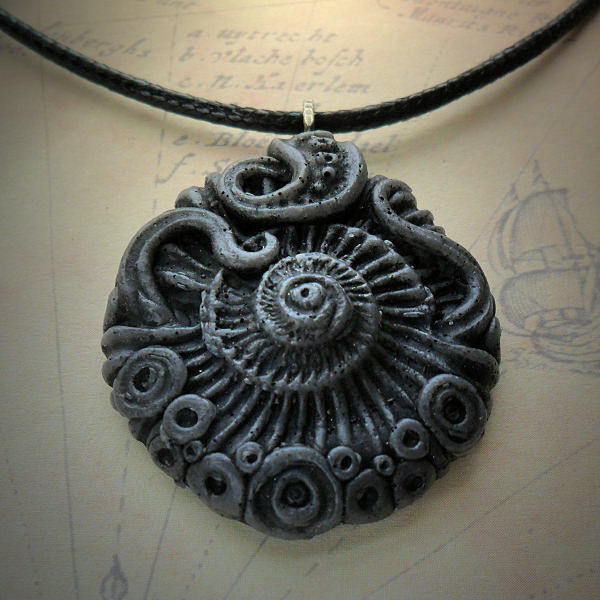 This handmade resin pendant features an inverted ammonite central motif. 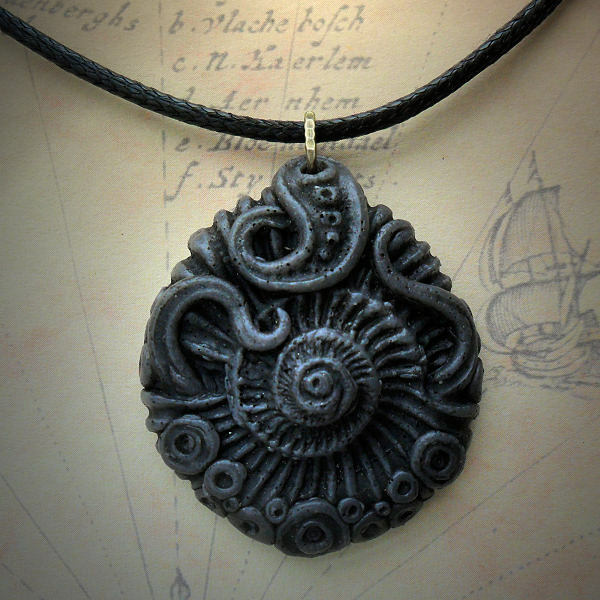 This is a hand painted necklace, and each one may differ slightly. 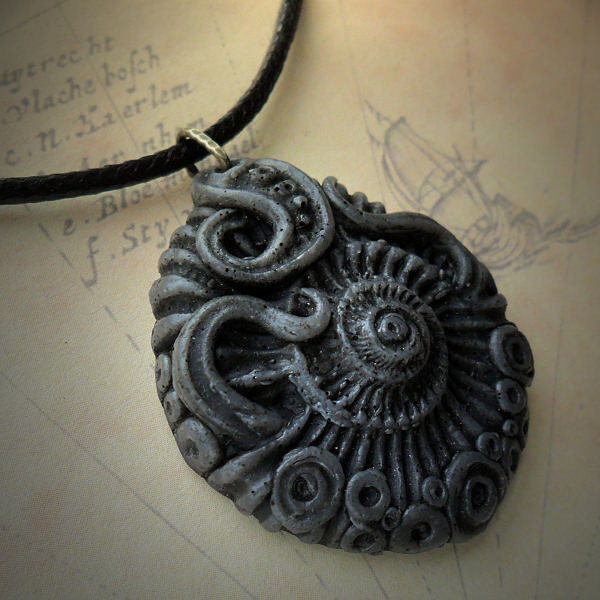 The pendant is hung on a black waxed cord necklace with slipknots for length adjustment.